An intense summer coming to an end. 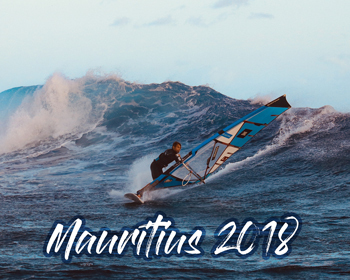 I ve been in Mauritius for almost two months and enjoying it’s amazing landscape, the pure nature and some very nice Windsurfing. Altough this spot will never be my favourite place to Windsurf, you can score some proper conditions. Some of the days are as good as it gets, with huge glassy waves steady wind and just friends in the water. On other days you are battling with 30 Kitesurfers and 20 Windsurfers in light gusty winds for some choppy waves…which caused some upsets aswell. Anyways I tried to make the most out of it, sail whatever was there and had a lot of watertime – which is the most important thing anyways! Beside the Windsurfing Side of Life, we got some very nice SUP Sessions and saw whales and Dolphins – which made the whole trip unforgetable. There will be definitly a short Windsurf Video from Mauritius and there will be also a JBL Imagevideo feat. the brandnew Clip 3 aswell. Beside that we shot some content for Surf&Action Company and Chiemsee. You will find more about this soon on this page. As so many people asked me for recommendation for their stay, one of the most amazing houses I saw is the Villa Seewoo directly in La Goulette. I would totally recommend it for you if you want more quality, but have not enough budget for one of the **** Hotels.